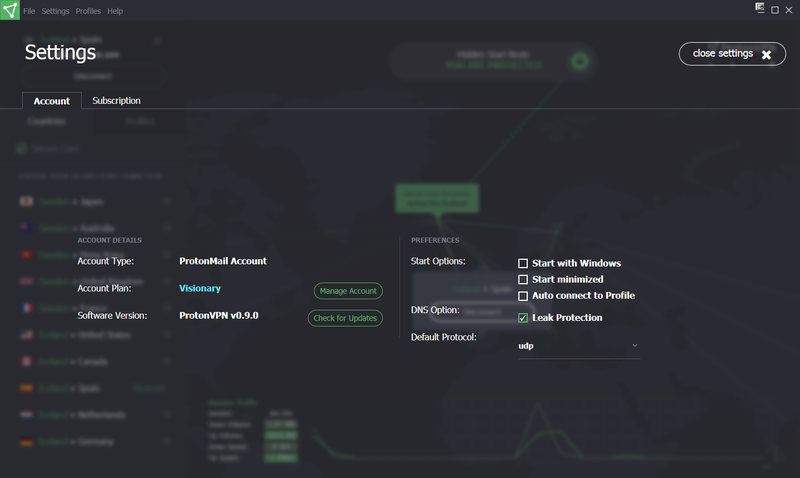 We are excited to announce the closed beta preview of ProtonVPN, a new tool which makes it possible to use the Internet without censorship and surveillance. 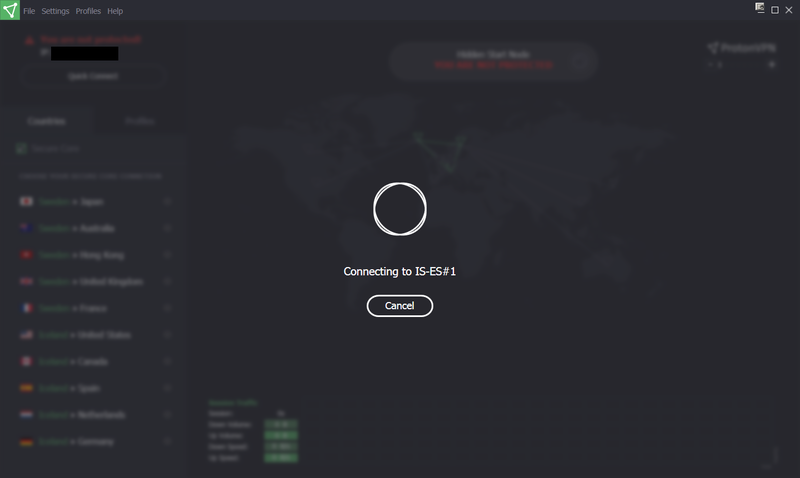 Like other VPN services, ProtonVPN allows you to establish an encrypted tunnel for your Internet traffic, thus shielding it from surveillance and monitoring. 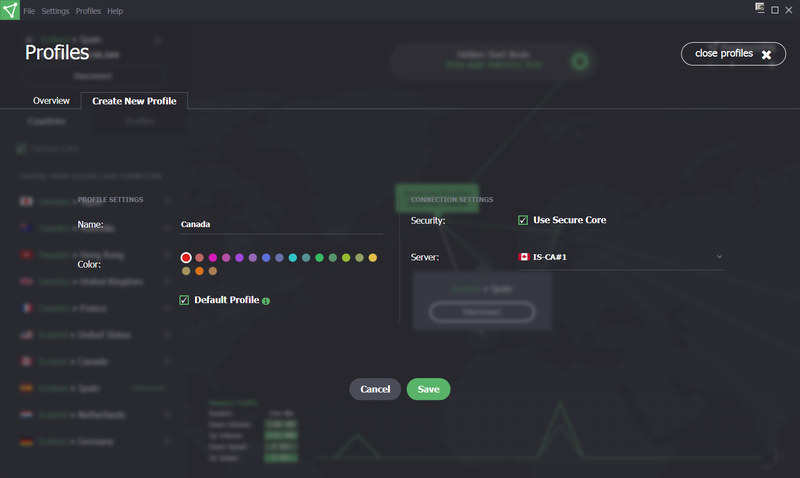 However, unlike other VPN services, ProtonVPN is designed from the ground up with a special emphasis on security and privacy, and features a number of innovations that we have made to harden VPN against compromises. 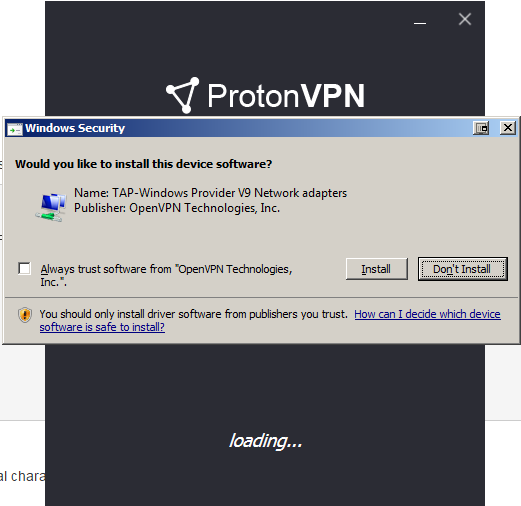 Currently only a client for Windows exists; clients for Mac, Android, iOS, and Linux are still under development, but since it’s based on OpenVPN, guides on how to set up ProtonVPN for Mac and Linux are provided. 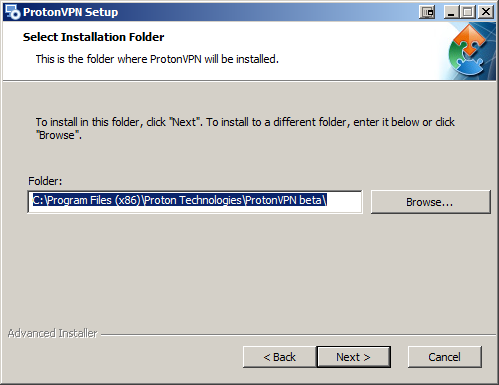 I downloaded the installer, which came out to be around 16 MB in size. 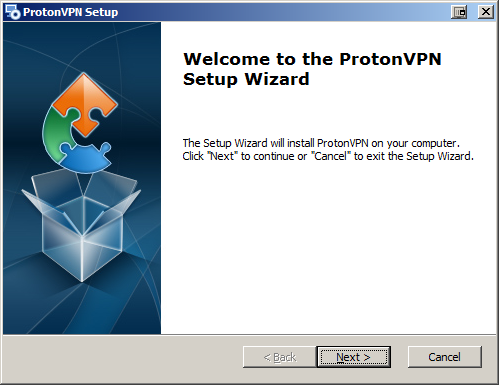 The installation finished rather quickly, so now it’s time to power up ProtonVPN. 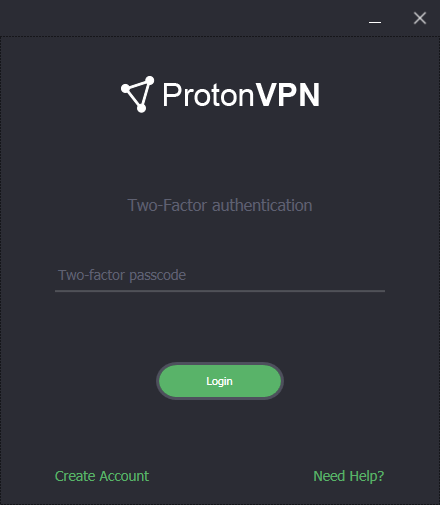 I was prompted to enter a username and password. 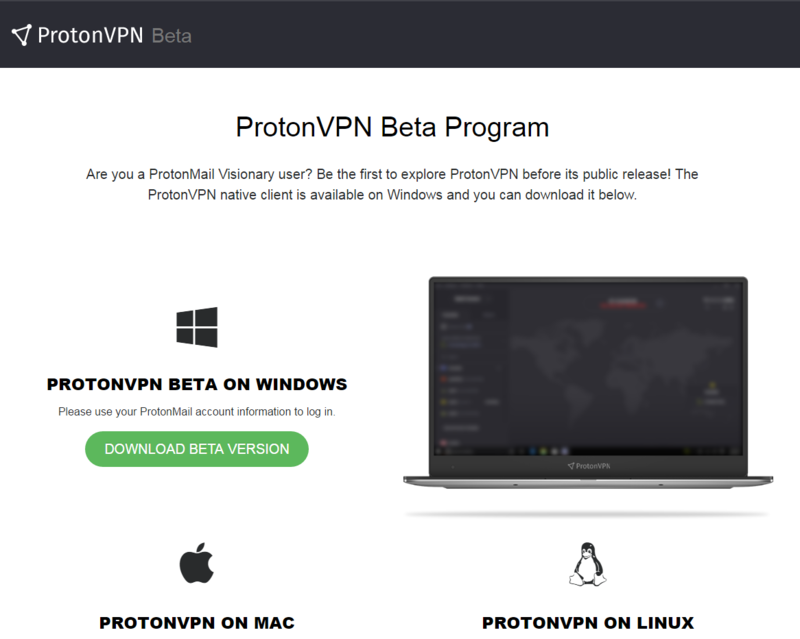 Note: you must enter your full ProtonMail address (e.g. [email protected]). 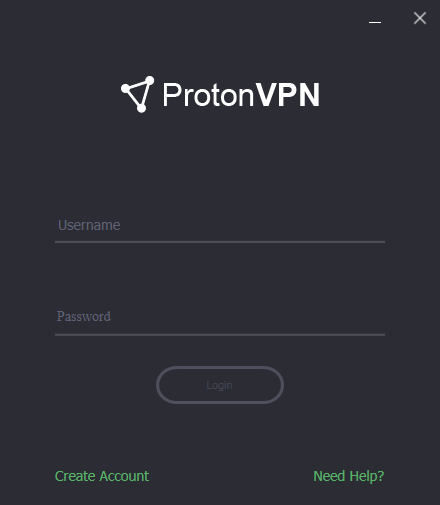 I was not prompted to enter my mailbox password afterwards, which does make sense since this is not ProtonMail but rather ProtonVPN. 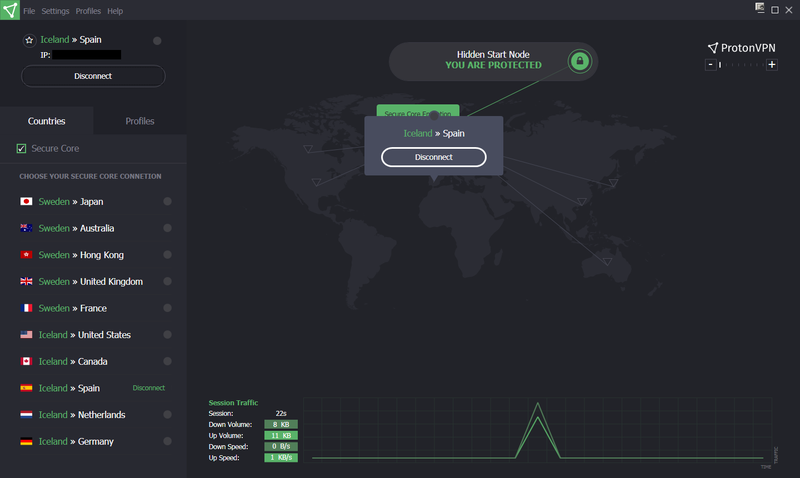 Note the list of countries on the left-hand side (13 in total), the geographic map, and the reminders that you are currently not connected to a secure server. 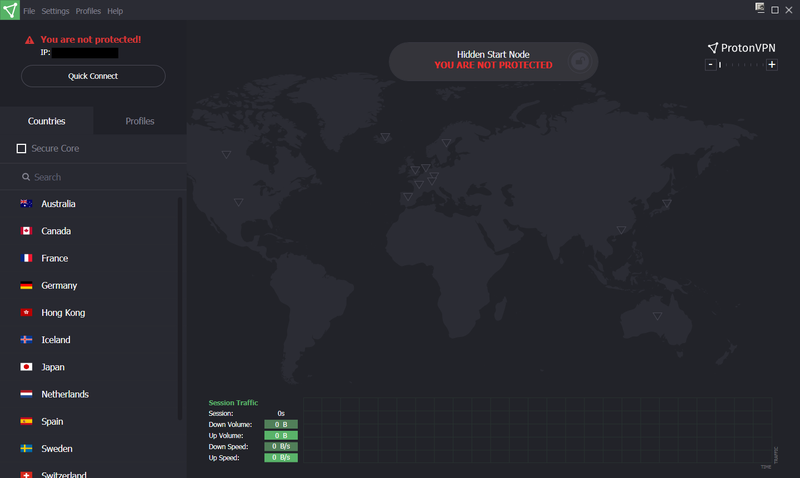 Back to the interface, if you click on Profiles on the left-hand side, you see two pre-defined profiles: Fastest and Random. 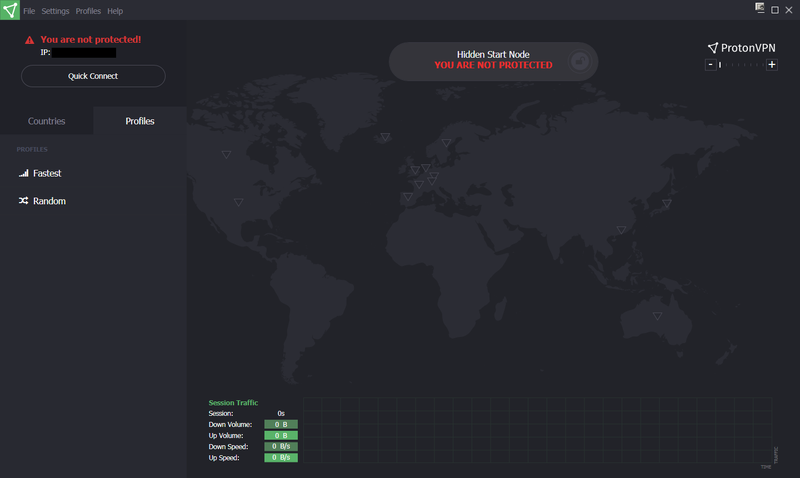 The red notices are gone and I am now connected to ProtonVPN! 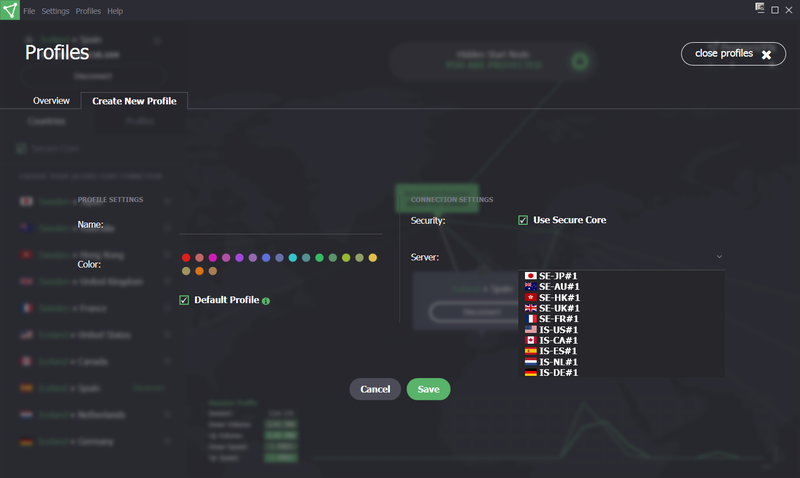 Presumably, if “Secure Core” is unchecked, then you would be connecting to the server in the respective countries without the Sweden/Iceland intermediary servers. 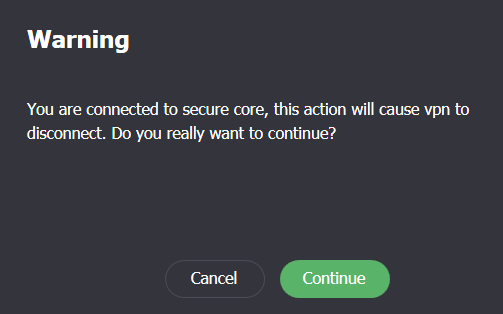 If you check/uncheck “Secure Core” while you’re connected, you will be alerted that you’ll be disconnected. 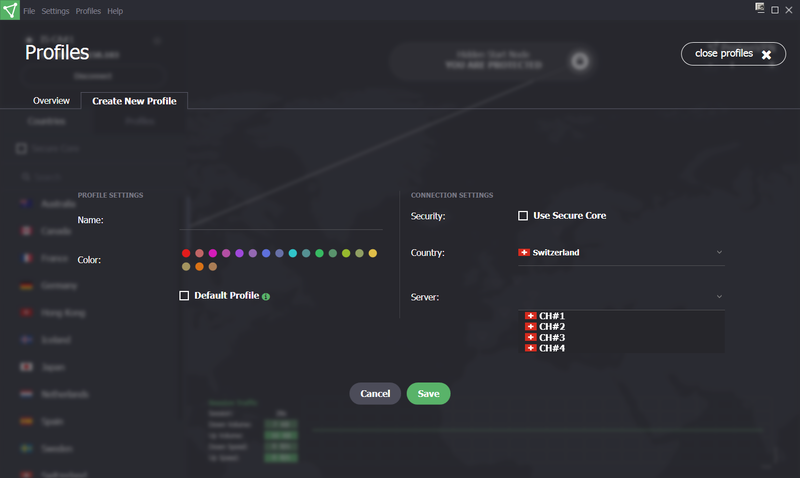 Note that after toggling the checkbox, you will need to manually reconnect to VPN. 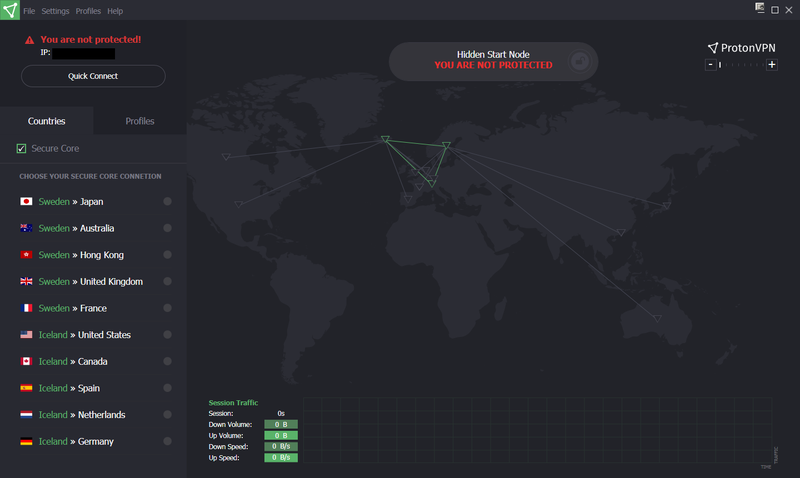 I am assuming that these dots in the Countries list will reflect each country’s aggregate server load. 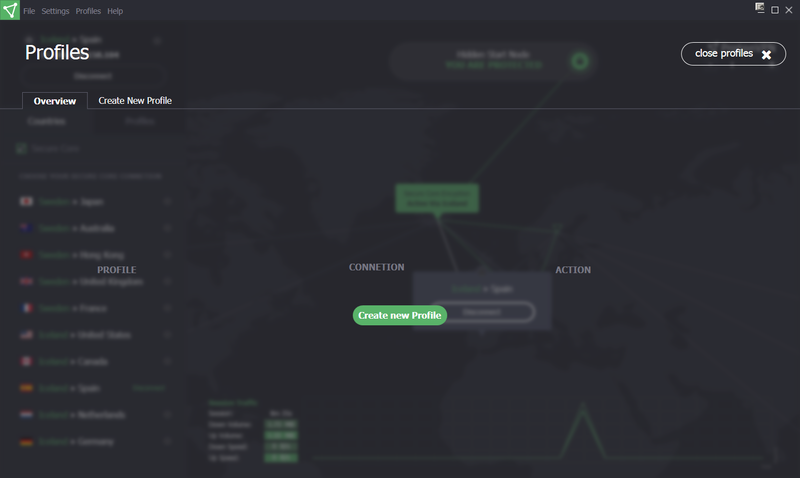 Above are the default settings, and one thing I noted was “Account Type”. 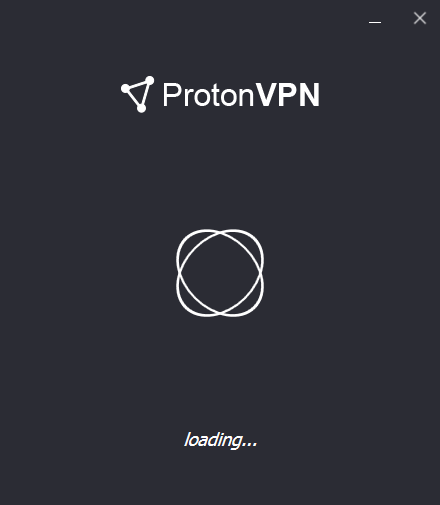 I can imagine there will be another type in the near future: “ProtonVPN Account”, for individuals who sign up only for the ProtonVPN service. 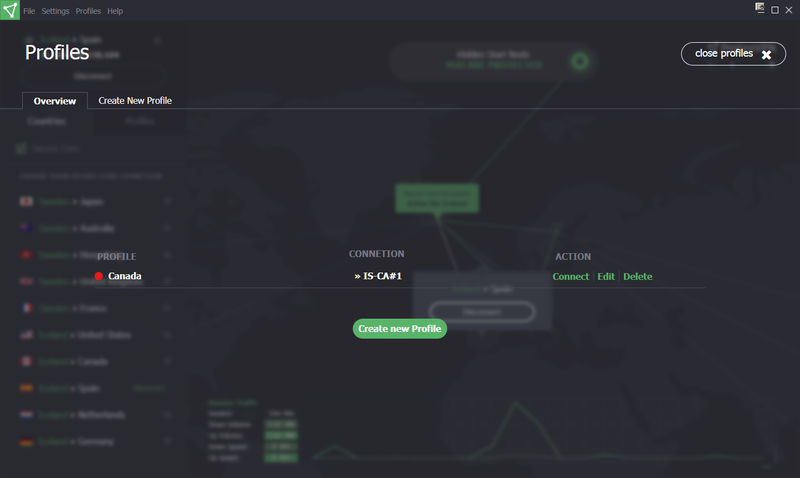 On the left-hand side you are able to create a name for the profile, colour, or set it as the default profile. 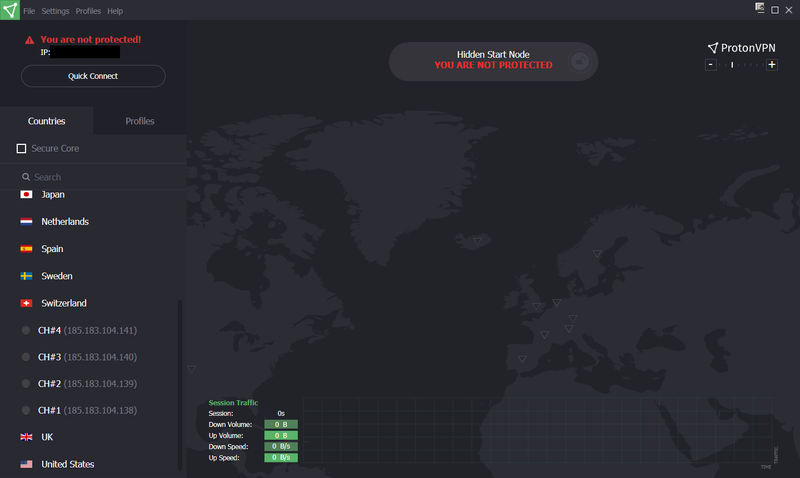 Speed-wise, as expected there is a decrease in speed if “Secure Core” is enabled, as all traffic is routed via Sweden or Iceland (as the “secure” core), in contrast to when it is disabled. 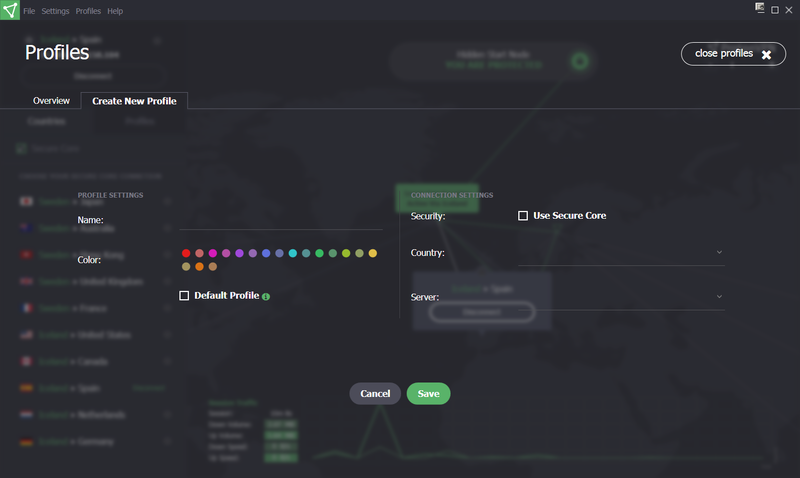 With a very sleek interface and smooth experience so far (making my job hard as a beta-tester), ProtonVPN is very exciting and has a very promising future.